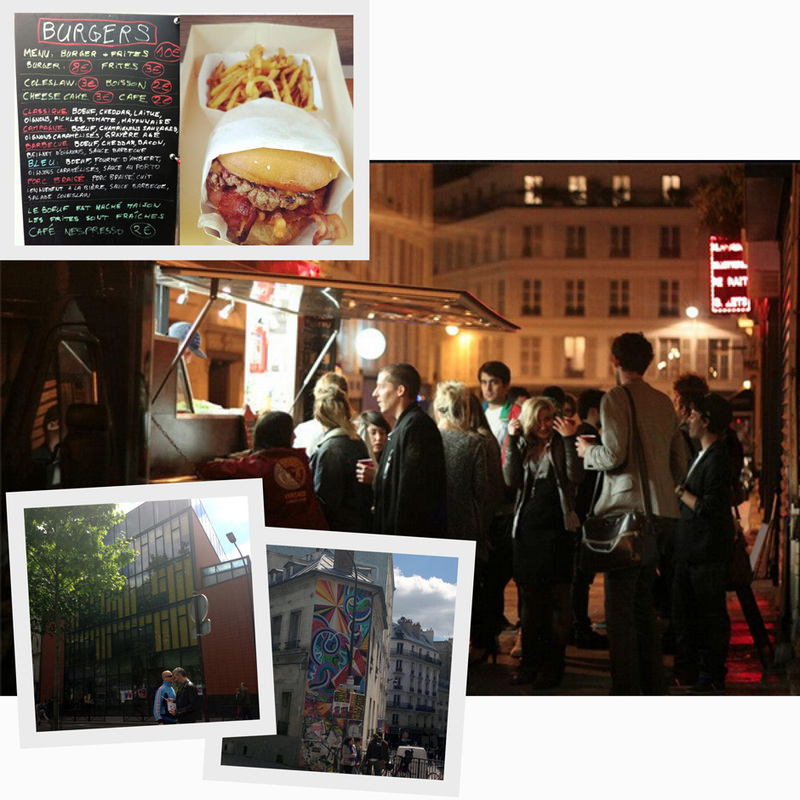 Paris is having a Brooklyn moment. You’ll notice it in the food trucks, the organic locally sourced food, plaid shirts and rough-hewn industrial interiors. Here “très Brooklyn” signifies informality, creativity and quality. For a few days this summer, I was able to witness this first hand. Luckily for us, this is still Paris, so the scarf wearing hipsters are strolling down the Champs Elysees, eating 5 course dinners with foie gras, and were born with some of the best fashion sense around. In Paris, high fashion and modern architecture mix with traditional style and good taste, and a new generation is creating their own unique mark on this city. 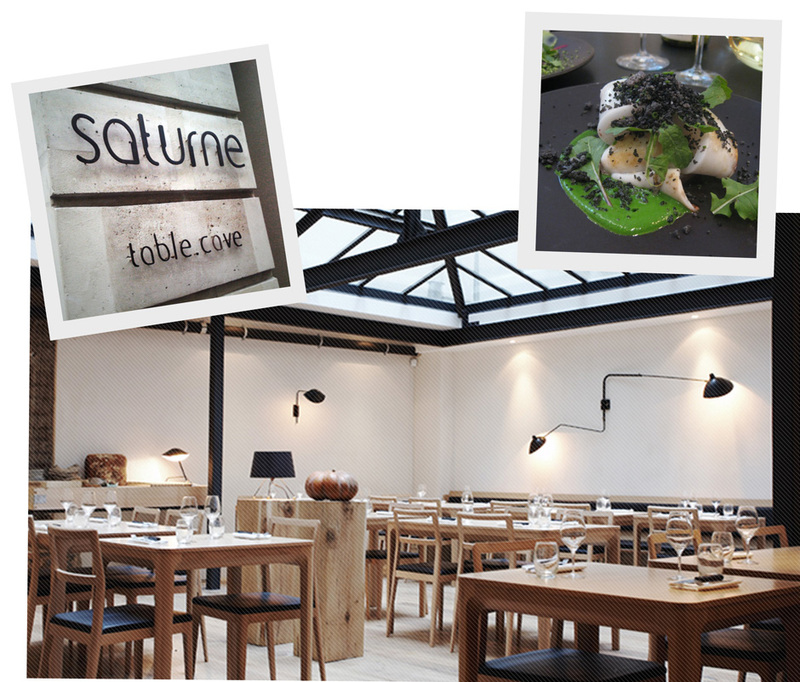 For an experience of haute cuisine a la Brooklyn, one night we dined at Saturne, enjoying a six course meal with wine pairing. All the food was made to highlight fresh, locally sourced organic ingredients. The chef accommodated my California dietary requirements: no dairy please! They made the chore of creating one plate just for me seem like it wasn’t a burden at all, and the dishes I was served were as taste-bud delighting as my friends plates, which were dripping with dairy. The interiors at Saturne are in line with the Brooklyn loft feel: blond wood, exposed metal, industrial sconces (well, actually Serge Mouille shell sconces, to give it a French twist), leather cushioned bench seating, an open kitchen, and glass skylights. The front of the space has a bar counter and several tables, for a more casual feel. To get to the back room, you walk through the glass fronted wine cellar, a tease for what’s to come. Another day we grabbed lunch at the Paris establishment le Fumoir. This place would fit right in at Park Slope and Prospect Park: unfinished wide plank floors (can you imagine the beating they get, and they still look fantastic), leather chairs and sofas, cafe tables, dark interiors with wood blinds, AND a seemingly private back library. Plus, it doesn’t hurt that it is right across the street from the neo-classical facade of the Louvre. 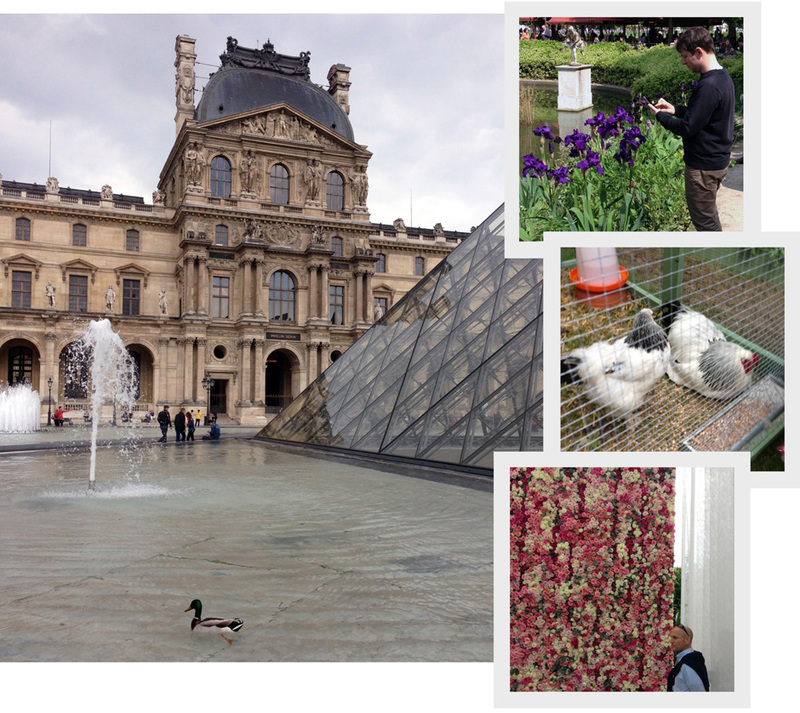 Later that day we went to a garden fair at the Tuileries Garden in honor of the architect André Le Nôtre. I loved the wall of flowers (as later seen at the Dior runway show) and enjoyed he garden made of moveable parts. But most of all I love the Tuileries Garden: the symmetry of the gardens, with the casualness of chairs scattered in conversation. This was definitely an authentic Parisian experience, non?